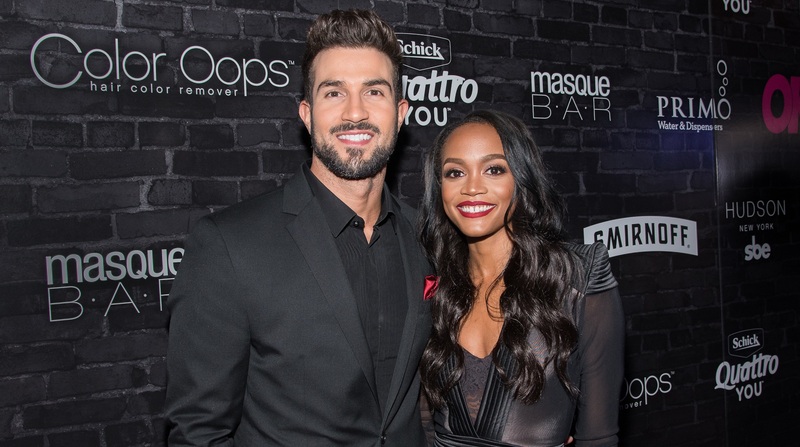 Once again, Bachelorette star Rachel Lindsay is on the defensive when it comes to her choices and the way she chooses to live her life, and she’s really not letting this nonsense slide any longer. This time, it’s BET who has sparked some ire on Twitter from Lindsay, as she is once again defending her relationship with Bryan Abasolo. The pair has faced criticisms from Bachelor Nation in the months since the season finale aired and Abasolo was revealed to be Lindsay’s winner. According to Refinery29, Lindsay went on Twitter to call out BET for apparently, without any real reason behind it, writing up in their interview with former Bachelorette contestant Eric Bigger that Lindsay had “epically fail[ed] at scoring the love of her life” while on the show. If you’ll recall, Lindsay’s final three had been Abasolo, Bigger and Peter Kraus, who was the fan-favorite to win. Those comments must have gotten back to Lindsay ASAP, because she took to Twitter to call out the outlet for their choice in denigrating her when she wasn’t even the focus of the interview. “Come on now @BET. We’re still on this. If u want to write an article about me then sit down and interview me. Get to know me off camera too,” she wrote in what would become a short series of tweets addressing the issue. Come on now @BET. We're still on this. If u want to write an article about me then sit down and interview me. Get to know me off camera too. She continued, “U could have written a positive article about w/o bashing my relationship and me. Your negativity took away from the positivity that is Eric.” Lindsay ability to remain honest and candid about her feelings is much appreciated here and most certainly hits at the problematic nature of those kinds of unnecessary comments. She concluded her artful clap-back by graciously saying that she’s willing to take a bullet it means that Bigger gets some press of his own (even though he’s not a part of this takedown). “But if @BET has to write a negative article about me to tear me down in order to build Eric up, then I’ll take that. He is a great guy!” she wrapped up. But if @BET has to write a negative article about me to tear me down in order to build Eric up, then I'll take that. He is a great guy! Lindsay and Abasolo have seemingly been defending their relationship ad nauseam since they got together. Hopefully, these two can finally put to rest this ridiculous issue about the legitimacy of their relationship and move on from this as a solid unit.